Dieting, taking drugs, exercising, wearing body shaping lingerie etc, has always - more or less - existed. We all want to look our best, and there are many different ways to go about it. If whatever you try works or not is up to the individual person. But then there are a few things that would amaze me if they actually did anything the add says it will. 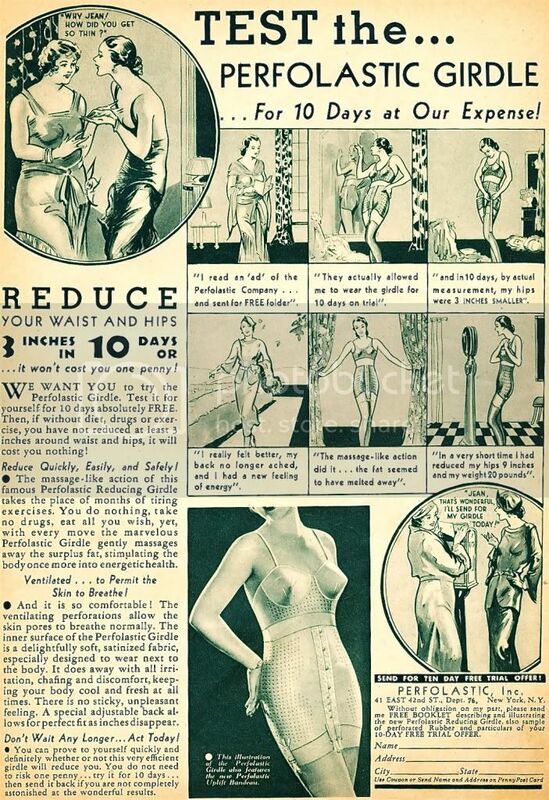 The girdle in the add below is one of these. I found it on the blog "what-I-found", and just had to share it with my readers.